The article first appeared in Village magazine, July-August 2018 edition. Anyone using the Google mobile search app to look for a podcast on an android phone in the last month will have noticed something interesting happening. In addition to the usual links to relevant websites or iTunes directories, Google presents direct links to the most recent episodes of the relevant podcast. Hit a handy play button, and users can listen directly to the podcast via Google without opening an audio app. Google wants users to listen to podcasts through its own apps, rather than using third party android clients like PocketCast or Overcast. That way, Google can gather valuable data on listening patterns, which it can correlate with all the other data it collects on browsing habits, search histories and YouTube use. In mid-June, in addition to the new addition to search, Google officially launched a stand-alone podcast app for androids. The app replaced the little known and awkwardly named Google Play Music Podcasts app, which was only available in North America. The clunky name alone is evidence that the project, like Google Listen before it, was one of the many neglected packages in the Google stable. Google Listen, launched in the summer of 2009, shuffled off this mortal coil in 2012, as the search engine declared there were other, better apps available in the marketplace. Two years later, podcasting began its move from niche internet product to the mainstream. In 2014, podcasts took off in a big way in the popular imagination, going from a minority interest listened to by very few to something everyone was talking about, if not consuming. In the popular memory, the sudden emergence of podcasts is linked to ‘Serial’, the twelve-part investigation by ‘This American Life’ producer Sarah Koenig into the death of Baltimore high school student Hae Min Lee, and the possible miscarriage of justice which led to the conviction of Adnan Syed for her murder. But other factors combined to create the perfect storm which launched ‘Serial’ to viral fame. 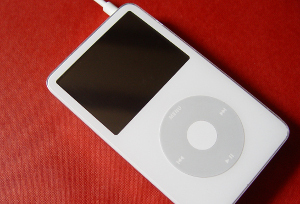 The Apple iPods which gave podcasting its name were in declining by 2014, but smartphones were ubiquitous, and in the US, Apple accounted for half of all smartphones sold. In 2014, Apple put podcasts front and centre on their phones, adding them to iTunes and prominently displaying their native podcast player on the home screen. Since then, iTunes charts have dominated podcast downloads (which might more accurately be described as phonecasts). But podcasts have never had the same prominence for Android users. Users have to seek out podcast apps, rather than finding one installed on the home screen by default. And while several such clients exist, inertia means the Android audience has always been smaller than on Apple. The numbers are stark. One third of American smartphones come from Apple, but those iPhones account for two thirds of podcast listenership. Apple’s share of the smartphone market is lower in other countries, but the same listenership pattern can be seen. That untapped Android market is the prize for Google, if it can get it’s product right. Google made one other significant announcement in June. Doubleclick, the advertising software subsidiary which allows it to dominate online search advertising, was getting into the business of audio advertising. Initially the expansion is targeting music products such as Google Play Music, Spotify, and Soundcloud, but the company is unlikely to leave and podcasting money on the table. If Google is serious this time about breaking into podcasting, then programme makers could be faced with a future of paradoxes. Google’s expertise could allow for the collection of more accurate statistics on listenership among android users, while at the same increasing the size of the android audiences, making podcasts a more attractive option for advertisers. However, at the same time, the rise in automated programmatic advertising insertions may dilute the revenues advertising brings in. To date, much podcasting advertising has an almost handcrafted feel to it, with podcast hosts reading out messages from their sponsors, more akin to American public radio programming than commercial broadcasts. The ability to automatically insert a boilerplate message based on Google’s data about listeners could mean an end to that format for all but the top performers, where advertisers are willing to pay a premium. This entry was posted in Social & Cultural and tagged media. Bookmark the permalink.